Cambridge City WI – Do you (W)ant (I)n ?! 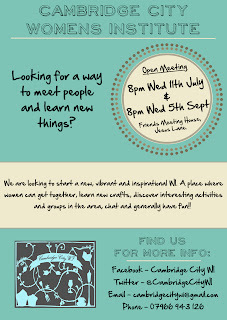 This week has been one very exciting week indeed for the fabulous and creative women of Cambridge and surrounding areas… A group of lovely ladies, including the likes of local bloggers, Jen from “Jenny And The Magic Feather” and Claire of “Claireabellemakes” have decided to set up their own branch off the WI (Women’s Institute) in the heart of our very own city. It actually felt quite clandestine and exciting heading down to the Friends Meeting House off Jesus Lane, walking through the puddles and hotfooting it into this friendly building with crowds of other women actually made me feel very proud for some unknown reason to me… The feminist in me has been ignited lately! It was more exciting than I had anticipated, I was in awe of these ladies after we realised that we had 53 women sat here waiting to hear the plans for this new WI group and discuss our ideas with them. The co-founders of this group had visited a few of the many local WI groups in Cambridgeshire to check them out, to meet the more traditional members, however they felt that the tradition was going to hold their plans back ever so slightly for some more modern activities & pursuits that many of the newer WI groups around the country offer to appeal to a slightly younger crowd. This may seem a little harsh sounding to the more traditional approach to the WI, however, as one of the Cambridge WI ambassadors who was there to join us for this evening had mentioned herself, it wasn’t causing offence to the other local groups, in fact quite the opposite was true. They were hugely impressed with the turn out and interest from this much younger than *normal* crowd and they were 100% in support of this WI group going ahead which is just fantastic. 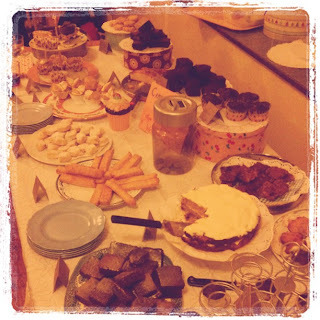 Some of the ladies brought along homemade cake and we donated a £1 or so for a piece or slice to start helping to raise funds for this new group and the venue fees. Tea was served and the tables were filled with chatter, with small groups of us sitting together putting down our own personal thoughts & desires on what we would like to see the new WI group doing, either as a large group together as well as smaller spin off groups should the activities or ideas be a little more unusual. Just some of the thoughts that came from the group were ideas such as dancing classes, crafting sessions, knitting lessons, baking & decorating workshops (Wahoo! ), circus skills, fascinator & jewellery making, plumbing courses, learning a new language, yarn bombing, self defence & first aid, even role playing games (no not THOSE kind of games you filthy minded beggar ; p ) and even swishing (clothes swapping to anyone else who didn’t know what this was ; ) and much much more besides. 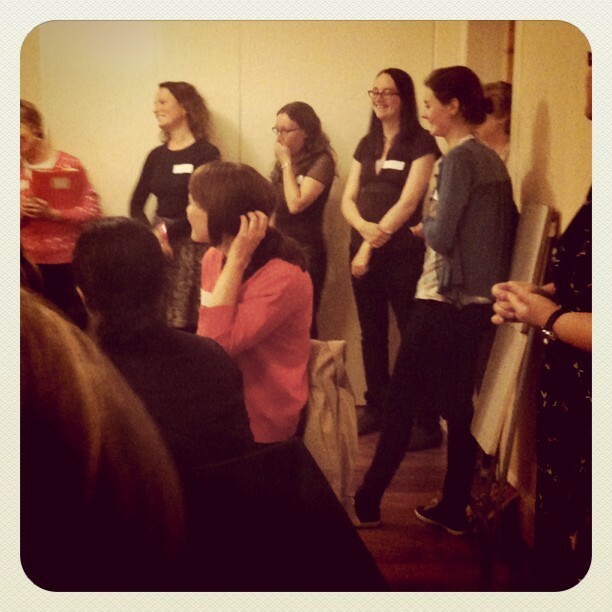 Needless to say, we were in fits of giggles discussing each idea and they all went into a suggestion box at the end for the ladies to use to help them put together some ideas for the forthcoming meets. 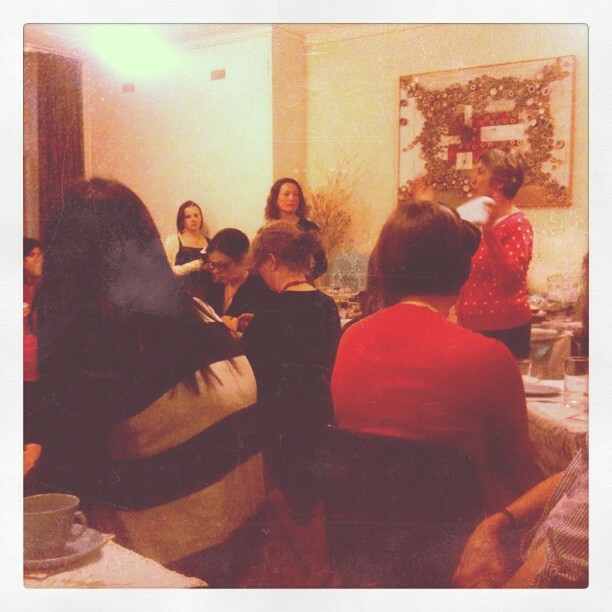 It was a very informal meet, purely to listen to the local, more established WI ladies telling us about the WI and a little about the history behind it. Did you know that the WI was not in fact started in the UK, but it was started by a farmer’s wife in Canada? !… A lady called Adelaide Hoodless started up a meeting for the wives of the members of the Farmers’ institute in 1897 and the first British WI meeting didn’t take place until 1915 in North Wales where it was set up to encourage women to become more involved in producing food during the First World War. Just look at some of the quirkier WI groups around the country and you can see why it is starting to appeal more and more, with the lovely ladies offering lots of fun at Buns & Roses and the Colchester Wigs for example. 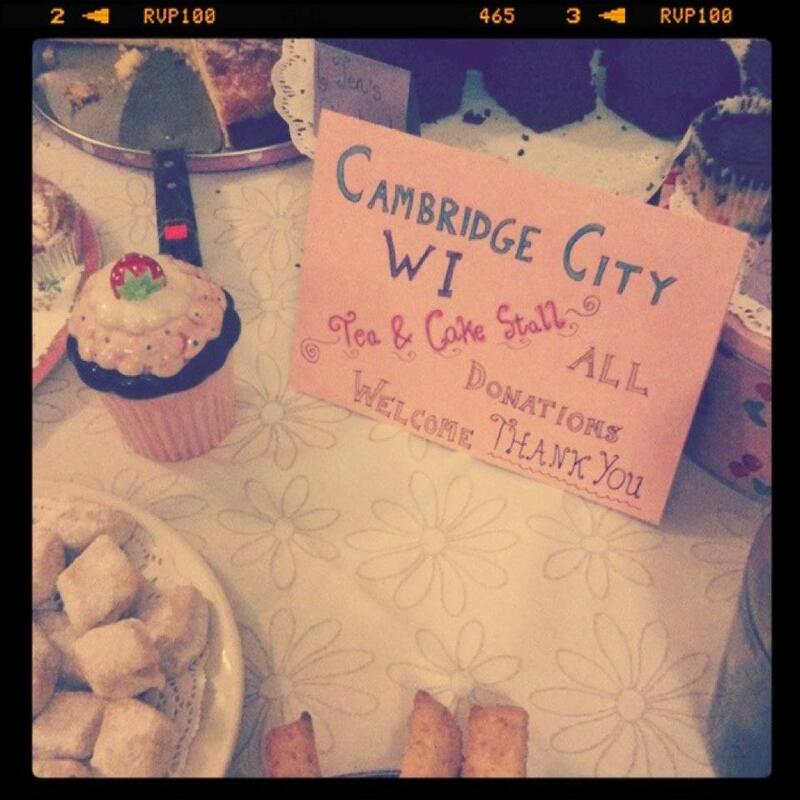 Cambridge will be the next WI group on the map to do things *Their* way, with the support of the Women’s Institute to push forward some of the more traditional values and causes along the way. 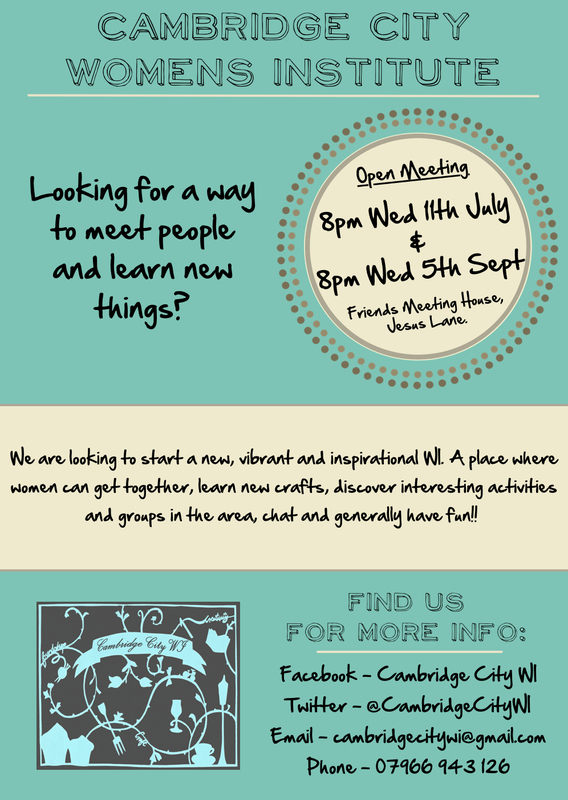 There will be an open forum for people to push forward their ideas & skills and help to make this group a friendly and welcoming place for local women of any age or background to come along to. I know personally just how important this is in itself, as many lovely ladies I have met through my own Afternoon Tea events have said to me previously, the first thing that they did when they arrived a new girl to the area was check out the local WI groups, but they weren’t full of women our age to meet, so this is going to be huge for the new women of Cambridge, as well as the girls who have been here their entire lives, such as myself! Now that committee know the interest is there (and growing rapidly!) they plan to get the Cambridge City WI group up and running for August/September time, with membership only costing around £30 a year, it’s steal for the best social life we have all had yet in Cambridge! It’s not fuddy, it’s not duddy, it’s sheer brilliance. 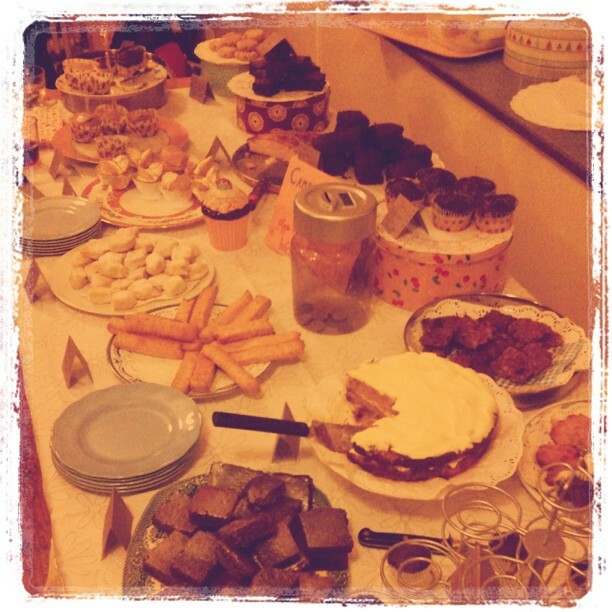 Geekery and perfect for anyone who likes tea, cake and meeting new people! Come along and join in the fun… even our local men will want to put on a wig and join us when they see what they have lined up for the next year & beyond! – Hehe. 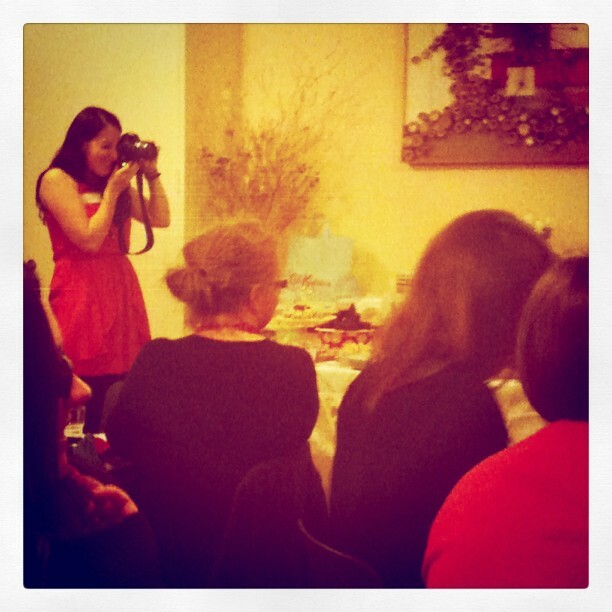 What a wonderful evening it was and its just the start. Thanks for the great write up! 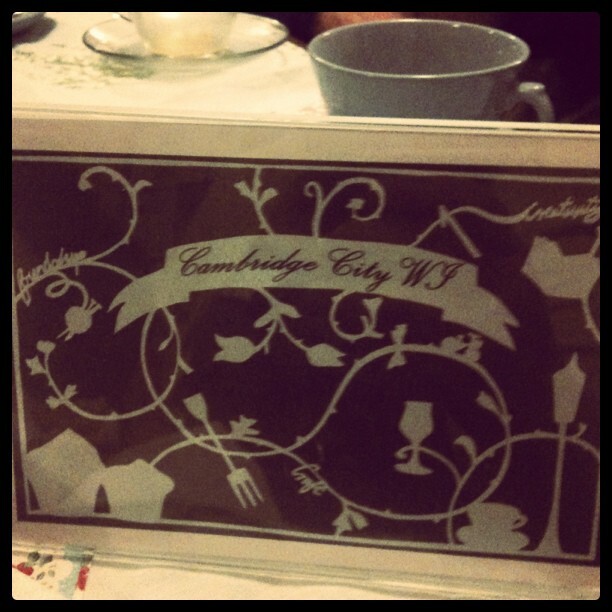 Such a fab post & really glad you enjoyed the evening. We are so excited about what comes next & really pleased there is such an interest. It was obviously what the city needed!